What next for Old Deanery? THE future of The Old Deanery on Wells Cathedral Green will become the focus of attention again now that more details about its sale have been announced. The Diocese of Bath and Wells decided last year to sell The Old Deanery and The Rib car park to fund new purpose-built diocesan offices at an alternative site on the outskirts of the city. It was estimated then that The Old Deanery, originally built as a home for the Dean of Wells 800 years ago, would sell for £3 million. 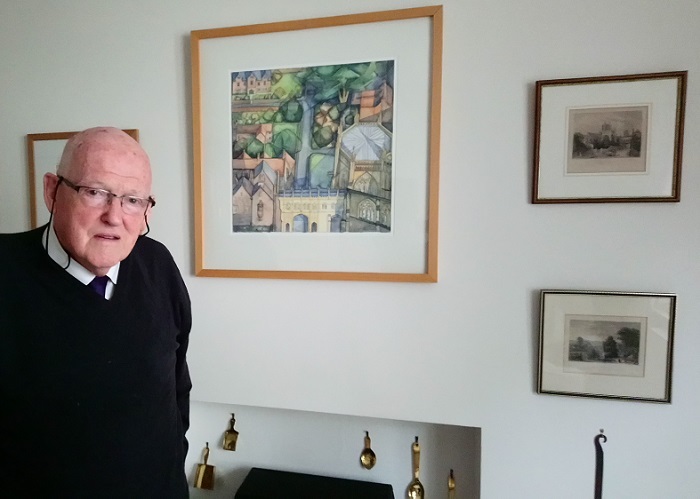 A former Dean of Wells, the Very Rev Richard Lewis, now Dean Emeritus of Wells, has suggested that one new use for The Old Deanery could be as an art gallery. “It is not immediately easy to make a long list of the best uses to which the Old Deanery could be put,” he said. Consultants have looked at the building and confirmed that it could be adapted for gallery use. That would allow the public to have general access to the building for the first time in its history – and would be preferable, said Richard, to seeing it turned into something such as a hotel. “It would not be good if it went into private hands. A Russian oligarch could put his hand in his pocket and pull out his spending money to buy it,” he said. “If I was still the dean I would be saying that it is part of 1,000 years of ecclesiastical history and it would be detrimental if that was to disappear for evermore.